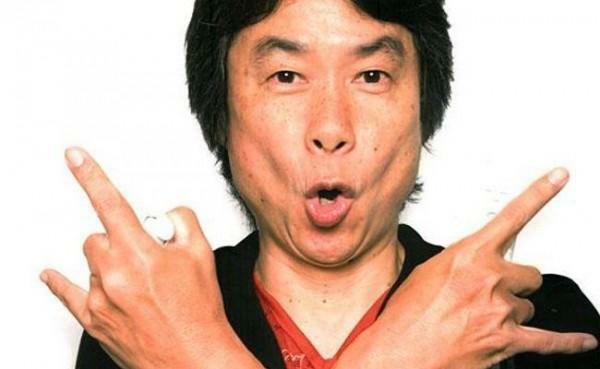 Nintendo creative mind Shigeru Miyamoto is now working on a brand new franchise. In an interview with Famitsu, he claims that the new franchise has been "pretty busy lately," but he is unable to share anything with us at this point in time. Being "pretty busy lately" is a bit of an understatement for Shigeru Miyamoto, who is hard at work getting the Wii U's lackluster library up to snuff with not one but three huge games; Pikmin 3, Super Mario 3D World and Mario Kart 8 are all to be released within the next six months. When speaking on the Wii U updates, Miyamoto expresses hope that the console is catching up in terms of it becoming a "convenient thing." "With the most recent version update the system runs a lot better, and while there will continue to be improvements in the future, I think it's to the point where it's a convenient thing to have in the living room." Miyamoto was keen to point out that updates are useless unless the console gets the games to back it up, which is when he mentioned the new franchise. "It's pointless to talk about other features, no matter how fulfilling, without releasing games of our own, so we hope you'll look forward to the games to come. Next spring, with the release of Mario Kart 8, we'll have a general selection available, so I've been thinking it would be a good time to bring out a new franchise. I can't give out details, but that's the title that's been keeping me pretty busy lately." Excellent, it's about time. We haven't seen anything stick to the Nintendo culture really since Pikmin launched on the Gamecube back in 2001, and the most recent original offering from Miyamoto was the widely loathed Wii Music made back in 2008.